Sea Shell Fairy Fountain for Merriment Mini Fairy Gardening. 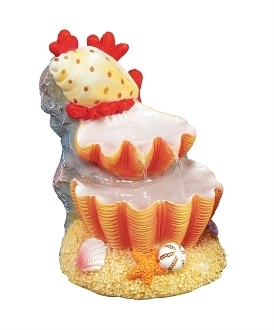 Full Description: This beautiful shell fountain features faux water and amazing detail. Designed by artist Mary Engelbreit, this fountain is underwater safe.